Different states have different rules and regulations. 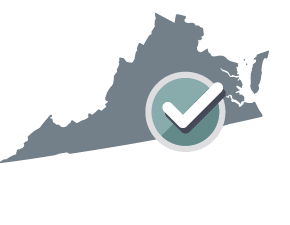 Your Survivorship Deed will be customized for Virginia. Please use our Quitclaim Deed or Warranty Deed since Louisiana does not recognize joint tenancy with rights of survivorship. What is a Survivorship Deed?A Survivorship Deed creates a joint tenancy between two or more people. In a joint tenancy, when one of the property owners dies, their interest in the property will not go through probate and instead will automatically pass to the surviving owner(s). The last surviving owner will receive complete ownership of the property. This type of deed is often used by couples who want to ensure their property will go directly to the surviving partner upon the death of one partner. The Grantor covenants that the Grantor will warrant generally the property hereby conveyed, and that the Grantor will execute such further assurances of said land as may be required. I ____________________________, a Notary Public in and for the said County and State, hereby certify that ___________________, having signed this Survivorship Deed, and being known to me (or whose identity has been proven on the basis of satisfactory evidence), acknowledged before me on this day that, being informed of the contents of the conveyance, the Grantor has executed this Survivorship Deed voluntarily and with lawful authority. Given under my hand and seal, this 19th day of April, 2019. What is a Survivorship Deed? A Survivorship Deed is a document that allows commercial or residential property to transfer from the property owner(s) (the grantor or grantors) to two or more property owners (grantees). What this transfer does is create a joint tenancy among the grantees. How does a Survivorship Deed work? The grantor(s) transfers property to grantees who own it as joint tenants. Each grantee now owns an equal share in the property, but since these shares are not distinct, they cannot be transferred to anyone else (such as by sale or in a will). When one grantee passes away, their share is equally divided among the remaining grantees. The last living grantee will own 100% of the property. How do I create a Survivorship Deed? After choosing which state you are creating your document in, the next step is to list the details of the grantor and grantee(s). LawDepot's questionnaire will prompt you to fill in basic information for both roles, including name and marital status for an individual, or the name, agent, and address for a corporation. Consideration is listed in a dollar amount, and is what the grantee provides the grantor in exchange for ownership interest, or for being listed as the grantee in the Survivorship Deed. The consideration is generally small ($1.00) if the intention is to give the full rights of property to the grantees as a gift. The property description should include the county where the property is located, as well as the legal description of the property. Information about the legal description of the property can be found by consulting your local county clerk or registry office. Once the document has been filled out, details about signing will need to be identified. Generally, the Survivorship Deed will need to be notarized in order for it to be executed. In some states, the deed may also need to be witnessed. You can check the requirements for your state by contacting your local county clerk or registry office. The Survivorship Deed includes right of survivorship, which means that the surviving tenant has the right to the deceased tenant's interest in the property that they both initially had equal interest in. With joint tenants with right of survivorship (can also be abreviated as JTWROS), the Survivorship Deed ensures that the surviving tenant receives the deceased tenant's interest in the property instead of it passing on to beneficiaries or heirs.